This is the second part of a three-step control group experiment attempting to get the Hummingbird Bakery's vanilla cupcakes recipe to work in the high altitude environment of Denver. Add flour, to strengthen the recipe's batter and prevent it from collapsing into a puddle of goop during the cooling process. Decrease the amount of sugar, since sugar interferes with egg protein's coagulation and requires more heat to set. Alternatively, I could just bake the cupcakes at a higher temperature. Decrease the amount of baking powder in the recipe, to slow down and decrease the batter's rise. 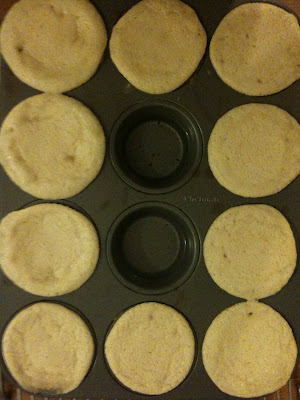 Last week, I added a tablespoon of flour to the recipe to mixed success. The extra flour strengthened the recipe's batter and contained the cake's rise -- that is, I didn't end up puddles of goop spilling over the pan's edges. 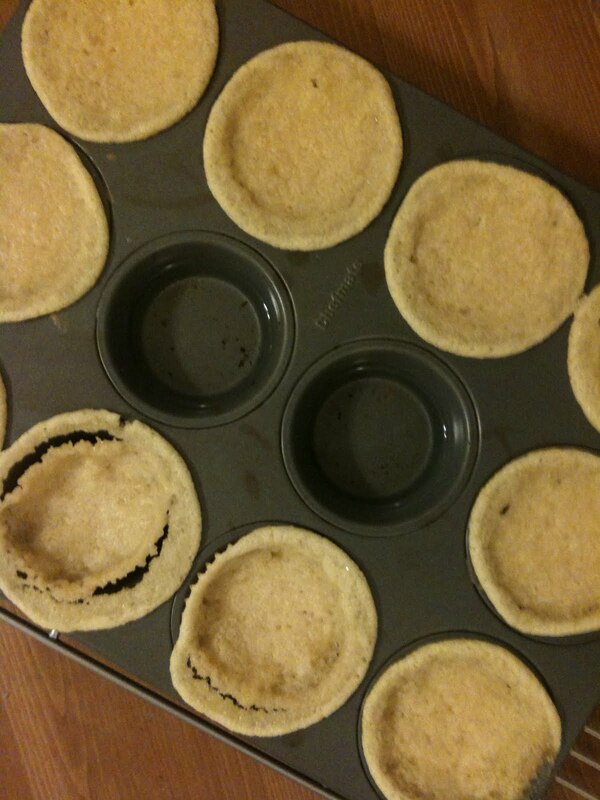 However, as the cupcakes cooled, they sank in the center, creating a crater-like appearance. Sugar slows down the coagulation of egg proteins. This means that batter containing a high amount of sugar needs more heat in order to set. The less sugar in a batter, the more quickly the batter will set in the oven. Note that the unaltered Hummingbird vanilla cupcakes recipe produced puddles of liquidy, sticky goop. That means that the batter never really fully set in the oven. Reducing the sugar could potentially fix this problem. Sugar increases the final product's tenderness. Sugar interferes with the ability of gluten stands to join together; the more sugar present, the weaker the gluten strands and the more tender the product. Some sugar is therefore necessary to achieve a tender texture. However, recall that liquids evaporate more quickly at high altitudes; such evaporation leaves excess concentrations of sugar in a batter, which can then boil up and easily overflow. This is especially relevant in my case since a constant issue I seem to have are the cupcakes overflowing from their allotted space and off the sides of the pan. The recipe might be using excess concentrations of sugar, causing this overflow. Decreasing the sugar could potentially stop this. The remaining part of the cupcake -- that is, the batter that actually remained in the allotted cupcake space -- seemed to lack structure entirely. They crushed easily when I tried to pull the cake out of the pan, squeezing together in a weird, moist, sticky mess. 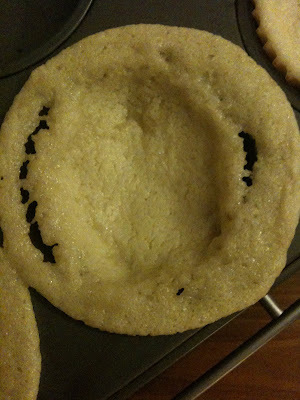 The batter appeared to not have set fully. I thought reducing the sugar was supposed to remediate this problem by allowing the batter to set faster with less heat?! And what about the taste? To be honest, they tasted severely undercooked and bland -- reducing even just a tablespoon of sugar affected the cupcakes' flavor intensely. The final product tasted too flour-y and ultimately, flavorless. Sigh. Never again will I mess with the cupcake's sugar content. Well, it's good to know, I guess? It seems that even increasing flour and decreasing sugar still didn't really do a whole lot to contain the over-rising of the original recipe. I have a sneaking suspicion that the final recipe will contain additional flour, the same amount of sugar, and a significantly decreased amount of baking powder. I guess we'll find out in the next post though -- maybe a decrease in baking powder is all I really need.